Feather Jones has been practicing herbal medicine for over 35 years, and integrates herbal remedies, holistic nutrition, flower essences and stress reduction guidance. 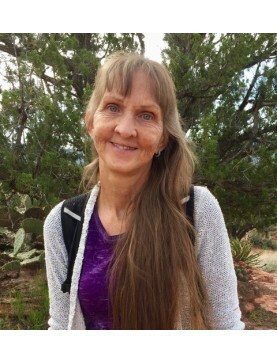 She is a Botanical Field Guide at the Southwest College of Naturopathic Medicine and has served twice on the Board of Directors for the American Herbalists Guild. Feather is an herbal consultant for the natural products industry and has an ongoing year-long herbal apprenticeship program. A desert woman at heart, she spends many hours on the trails near Sedona. She owns and lovingly created the organic herbal formulas for Sedona Tea Blends that provide a wellness tea for body, mind and spirit. Speaker: Feather Jones. As a keystone plant species, Osha, Ligusticum porteri, has always playe..